A placebo is a drug or a treatment which has no direct physiological value, but which may nevertheless cause people to experience a positive physical or mental outcome. As such, the placebo effect is a phenomenon which occurs when people experience a beneficial effect as a result of a placebo treatment, which cannot be attributed to the physical properties of the placebo, and which is therefore attributed to people’s psychological reaction to it. Understanding placebos and the mechanisms behind them can allow you to take advantage of their beneficial effect in a variety of contexts. As such, in the following article you will learn more about placebos, understand how they work, and see how you can use them as effectively as possible. A placebo is a treatment which has no inherent ability to produce a physiological effect, but which nevertheless has a beneficial therapeutic effect. Placebos play a critical role in medical experiments and clinical trials, since the effectiveness of new treatments is generally compared to the effectiveness of a placebo, rather than to the effectiveness of no treatment at all. This is done in order to determine whether the positive influence of the treatment, if it exists, can be attributed to a direct therapeutic effect, as opposed to a placebo effect, and if so then to what degree. In this context, placebos usually take the form of treatments such as sugar pills or saline injections, which are relatively inert and which are therefore not expected to have a direct physiological effect on patients. In addition, though placebos are most commonly associated with medicine, they exist in other domains too, in the form of items or procedures that have no real functionality, but which are designed to give people the illusion of being functional, for various reasons. For example, placebo buttons are buttons that don’t do anything when clicked, but do give people an illusion of control, which is why they are therefore placed sometimes in places such as crosswalks or office thermostats. The placebo effect (also referred to as the placebo response) is a phenomenon where a person experiences a beneficial effect as a result of a placebo treatment, which cannot be attributed to the physical properties of the placebo, and which is therefore attributed to the person’s psychological reaction to it. The impact of the placebo effect varies in different situations, and placebos generally affect subjective patient-reported measures, such as pain perception, though they can also sometimes affect objective observer-reported measures, such as bronchial hyperreactivity in asthma patients. For example, in one of the key studies on the topic, researchers gave patients placebo surgery for their knee problem, by simulating the procedure and cutting the skin, without performing the full medical intervention on the knee itself. After recovery, patients who received the sham surgery not only felt the same way in terms of pain as patients who received the real surgery, but also had the same degree of function in their leg. The existence of the placebo effect can explain why various treatments in alternative medicine, which have no inherent medical value, can cause people to feel better. Furthermore, the placebo effect could also partially explain why some people are more likely than others to believe in such treatments, since there are individual differences in terms of people’s response to placebos, which are affected by a variety of factors. For example, some people are more suggestible than others, and can therefore experience a stronger placebo effect, and some people are simply genetically predisposed to be strongly influenced by placebos in certain situations. Finally, it’s also interesting to note that research suggests that the average strength of the placebo effect in clinical trials has been increasing over time in some areas. There are various possible reasons why this is happening, such as increased expectations from patients, as well as increased enrollment of patients that have only minor illnesses into clinical trials. Note: a related phenomenon is the nocebo effect, which occurs when a fake drug or a sham treatment cause a person to experience negative effects, such as increased pain, instead of a positive effect. According to expectancy theory, the placebo elicits an expectation for a particular effect within the patient, and the expectation of this effect causes the patient to experience it, or to believe that they are experiencing it. According to the theory of classical conditioning, the placebo serves as a stimulus which resembles a traditional medication or treatment, which the patient is conditioned to respond to by experiencing an improvement in their condition, based on their past experiences. People can also experience a placebo effect because they have the motivation to feel better, which is a goal that can be fulfilled through the placebo effect. Note that different cognitive mechanisms affect people in different ways in different scenarios. Furthermore, in some cases, other factors can also affect the efficacy of a placebo, such as people’s somatic focus, which is their tendency to think about their symptoms. Finally, it’s important to note that there are also several neurobiological mechanisms which are associated with the placebo effect in different situations, and that animals can also experience this phenomenon. So far, we saw what the placebo effect is and how it works. Next, you will see a few guidelines that are important to take into account if you want to actively take advantage of the placebo effect. Since the effectiveness of a placebo depends on people’s perception of it, it’s important to present the placebo in the right way to the person who is supposed to take it. For example, the 2008 Ig Noble Prize in Medicine went to three researchers who demonstrated that placebo medication is perceived as more effective when people think that it’s more expensive. The researchers gave people a supposed pain-relieving medication, which was in fact just an inert placebo pill. Half the participants in the study were told that the drug they received cost $2.50 per pill, while half were told that the drug has been discounted so that it only cost $0.10 per pill, though they didn’t learn why the drug was being discounted. Afterward, when participants were exposed to mild electric shocks as part of the experiment, those who were told that the medication is more expensive experienced a significantly greater level of pain reduction compared to those who were told that it was cheaper. Similar results have been found in other domains. For example, in one study, people were given a placebo energy drink which they were told was supposed to improve their cognitive performance. Those of them who were told that the drink was bought for a full price experienced a greater cognitive improvement from consuming it than people who were told that it was bought at a discounted price. Perception also matters when there is no price involved, such as when the ritual which is associated with the treatment is extended, dramatized, or made more formal in some way. For example, people might experience a stronger placebo effect when they are given a fake pill by someone who looks like a doctor, compared to when they are given it by a regular person. Overall, this suggests that if you want a placebo to have a powerful effect on someone, you should make the placebo appear as effective as possible, by using signals that are generally associated with value, such as price. An open-label placebo is a placebo treatment that is clearly presented as a placebo. 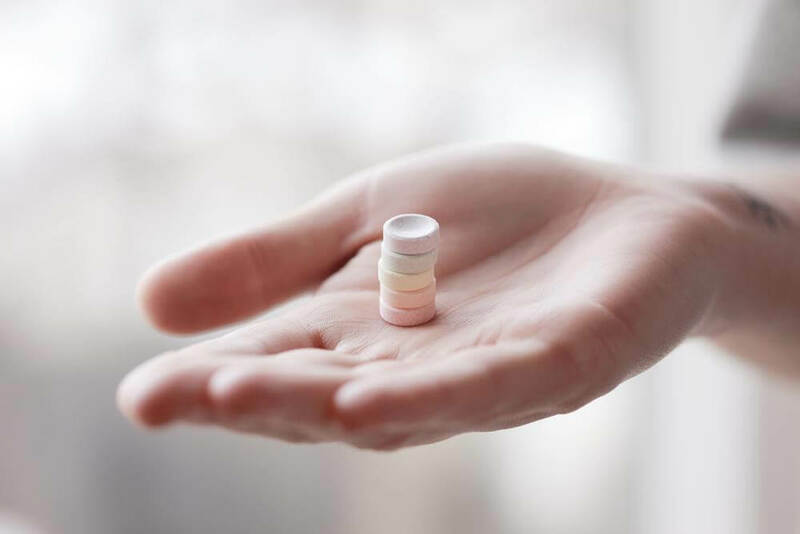 Research shows that this type of placebo can sometimes be effective, meaning that an element of deception or concealment isn’t always necessary when it comes to placebos. This has important implications regarding the use of placebos from an ethical perspective, since having doctors prescribe placebos to patients without notifying them that they are doing so could be viewed as an ethical violation. Furthermore, this means that you can give yourself a placebo and still benefit from it, and that you can give a placebo to someone else without hiding what you’re doing. Note that if you are open about the fact that the treatment that you’re giving to someone is a placebo, explaining the rationale behind doing this could make the placebo more effective. This means that if you want to openly give someone a placebo, you should consider trying to convince them of the benefits of placebos first, while also telling them that a positive attitude toward the placebo could strengthen its influence. Make yourself feel better. You can take a placebo in order to make yourself feel better in some way. For example, if you’re feeling anxious, you can chew some gum and tell yourself that doing so is going to help you relax, because your body will assume that you aren’t in any danger if you can afford to engage in an action that resembles eating. Improve your performance. You can take a placebo in order to improve your performance in some domain. For example, you can listen to some energizing music before giving a public talk, and tell yourself that doing so is going to get you pumped up and make you more confident. You can also use a placebo in order to help someone else experience these benefits, meaning that you can give someone else a placebo to help them feel better or to improve their performance, in the same way that you would use a placebo yourself. However, when doing this, it’s important to take into account the ethics of the situation before deciding whether or not to tell the other person that what they’re taking is just a placebo, and to consider the possibility of telling them that what you are giving them is a placebo, which can sometimes work, as shown in the previous section. If someone that you know is taking a placebo in a way that benefits them and causes them no harm, think carefully before telling them that what they are using is a placebo. For example, if someone believes that drinking green tea has a calming effect on them because they think that green tea has some mystical properties, there is usually no reason to tell them otherwise, even if empirical evidence suggests that they are likely wrong. This is because calling out the use of the placebo might cause the other person to stop benefiting from its influence, or to feel uncomfortable about using it. While this could be the responsible thing to do in situations where taking the placebo is endangering them in some way or is causing them harm (including from a monetary perspective), if there are no downsides to their use of the placebo, then there is generally no reason for you to ruin its use for them. Though placebos can certainly be beneficial, their benefits are limited, and only extend to some domains. For example, if someone has advanced-stage cancer, then a placebo might be able to help relieve some of their pain, but it won’t be able to cure their underlying medical problem. As such, it’s important to be aware of the limitations of placebos in situations where you are considering using them yourself, or advocating their use to others. Note that in medical situations, using a treatment that has only a placebo effect is not inherently wrong, as long as it’s not dangerous, and as long as it’s not meant to replace actual medical treatment. However, you should always consult a certified medical professional before deciding to use a placebo treatment in medical situations, or in situations where the use of the placebo could have adverse outcomes. A placebo is a treatment which has no inherent ability to produce a physiological effect, but which nevertheless has a beneficial therapeutic effect on some people. The placebo effect is a phenomenon where a person experiences a beneficial effect as a result of a placebo treatment, which cannot be attributed to the physical properties of the placebo, and which is therefore attributed to the person’s psychological reaction to it. Placebos usually improve subjective issues, such as pain perception, but they can also sometimes improve objective issues, such as knee function, though their benefits are generally limited, and they shouldn’t be viewed as a perfect solution to medical problems. Placebos can affect people through several cognitive mechanisms, including people’s expectation that the treatment will help them, people’s conditioned response to treatments based on their past experiences, and people’s desire for the treatment to work. You can use a placebo to make yourself feel better or to improve your performance in some domain, and a placebo can work even if you’re aware that it’s a placebo, though how you perceive it can influence its effectiveness, so that in general, the more serious and valuable it appears, the more effective it will be.